So far from looking at this website you may feel that we are focused exclusively on the residential market. This is not the case. Burglarybusters and Security Certified Doors Ltd www.securitycertifieddoors.ie provide a complete security service to the commercial market. So if you are an office manager or a maintenance manager with responsibility for the security or maintenance of your premises we believe we can help you. We provide the Security Certified Door range of timber-faced steel-reinforced cash office security doors up to European Security Standard ENV1627 class 4. These doors are ideal in retail situations where there is a need to protect cash. 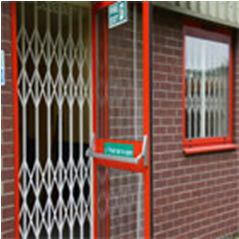 The Zentry Security Grilles comes in 3 security levels. The CX1 is mainly used for Residential properties. The market leading CX2 is a certified retractable gate for protection of windows and doors in domestic and commercial properties. The product has been independently attack tested, by the LPCB (Loss Prevention Certification Board) to the industry standard LPS 1175 Security Rating 1 and by Secured by Design as a 'Police Preferred Specification. CX2 should be your first choice when an insurance rated grille is required. Characterised by its attractive curved lattice, CX2 provides peace of mind at home or work . Fitting CX2 may also reduce insurance premiums. The ultimate grille for strength and flexibility of installation, CX3 is a retractable security grille particularly suitable for security of windows and doors in commercial premises and high risk environments. 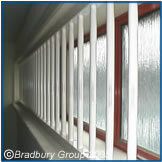 Optiguard vandal protection screens are the chosen means of window security for schools, public buildings authorities, flats, social housing, churches, youth centres and many other high risk public buildings. High security - 20mm solid steel bars, ideal for vulnerable premises are designed to rotate to prevent attack from tools such as hacksaws. Flexible installation - tailor made to specific requirements they can be fitted to the reveal of a window or face fixed onto the surface of the reveal. 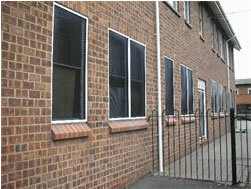 Window bars can also be fixed horizontally or vertically. Wide choice of colours available with white as standard. The films are adhesive coated to bond them to the glass. 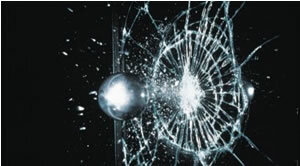 The better safety films are those that are smooth-coated, because they have far superior optical clarity. We provide a wide variety of different types of safes that store goods from a value of €3000 up to €150,000. No matter what you want to protect we have the safe to meet your needs.